(1) All prices quote are in US currency. (2) All sales are final, no returns or refunds (including shipping, handling, etc), unless conditions fit our return policy. (3) Please make sure that the items fits you. Unless otherwise stated, we will not be held responsible for any issues regarding wrong size. (4) After shipping, Seller will not be held responsible nor liable for any delays nor damages, either direct or incidental, caused by the use or misuse of this product. (5) Insurance, where applicable, is through 3rd Party and value does not appear on package. (6) We require 1-2 working day to ship out the items upon receipt confirmation. 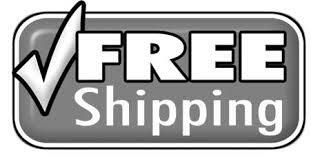 (7) Most of our customers receive their purchase within 2 weeks via Standard Free Shipping. Tracking number is available and will be made known to buyer once order is shipped. However, there maybe delays due to festive period, custom clearance or postal service strike. Please consider selecting Expedited Shipping at checkout if you required the order urgently, delivery by Expedited Shipping takes about 2-4 working days. (8) The insurance coverage, where applicable, that comes with SingPost is SGD 68.00, which could ONLY be paid after SingPost completed their investigation with the destination Postal Administration. (9) Insurance, where applicable, does not show on the postal amount. This should reduce the unnecessary custom inconveniences. (10) Postal Services' investigation is final. (11) Please also review details on our shipping and return policy. (12) Please review item description carefully. Please do not checkout the item unless you agree to the description and all the terms and conditions. (13) You may direct any enquiry in writing to the below address or contact us through our online form.